This cleanser gently, yet effectively removes make-up and surface impurities. It leaves the skin feeling clean and comfortable. Active ingredients: ACR Complex G2, Cornflower extract, Vitamin C & E, Hyaluronic acid. Application: Morning and night, apply with a cotton pad and massage over face and neck. 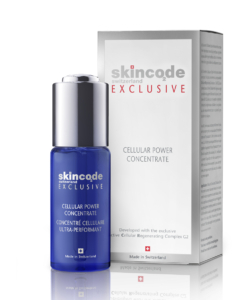 Follow with Cellular Revitalizing Toner and complete your regimen with a Skincode serum and moisturizer.